So you got sober and the “happy, joyous and free” adage from the 12 step community didn’t come true eh? I think a lot of people come into recovery with unrealistic expectations. 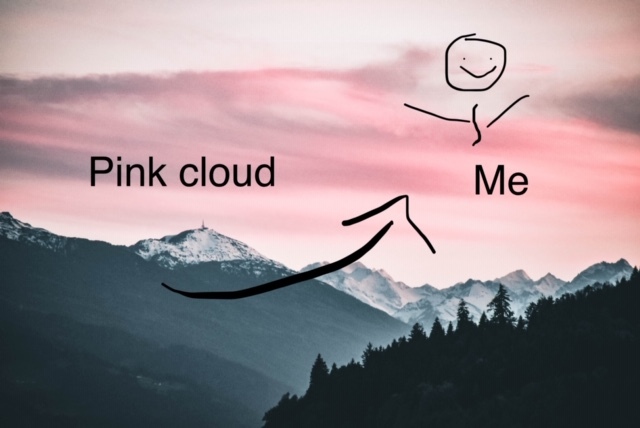 I know I floated on that comfy pink cloud for a while. But the harsh truth is that we have numbed our every emotion (or at least made a great attempt at it) and when all the feels come rushing back at us, we’re totally unprepared. When all those overwhelming emotions come flooding back in, you will need to be prepared or at least aware of the onslaught. When I hear the term emotional sobriety I think of self-awareness and self-regulation. I know that many people will interpret it differently. Some common interpretations include: spiritual awakening, god consciousness, living life on life’s terms, having a “positive” outlook on life, acceptance, do unto others as you would have done to you, inner peace, loving kindness, I could go on and on. In my opinion, all of these are correct. Whatever emotional sobriety means to YOU is what will help YOU and that is what recovery is. We are all on completely different paths in recovery. Even if you share some strong similarities with others, your life and your path is specific to you. As well as your emotions and your ability to handle them. I am (and have always been) a highly sensitive person. This was something I was put down for many times in my life. I have always had a huge heart and a great ability to love people. These wonderful qualities coupled with zero boundaries was a recipe for disaster. Which lead to the pity party of the century and the inevitable unraveling into alcoholism. Thankfully, I got sober and found my path. It’s bumpy, and curvy, and filled with obstacles, but it’s mine and I navigate appropriately. One thing that I know for sure is that it takes a village to raise someone in recovery. Whether that village be a 12 Step community, a sober group of friends, a Life Coach, a Mentor, a Therapist or all of the above, we need a support system. One of the hardest things to do is ask for help when you are struggling. But when you have a system in place, you will surely be met with a “me too” from your group because everyone has struggles. Even if you’re a Zen master you have emotional fluctuation that surprises you occasionally. There is an ebb and flow of emotion that runs through all of us on a daily basis. Some days we’re better prepared for the waves. For me, self-awareness is the ability to take an honest look at myself without judgement. I used to be a chronic over-reactor. I would catastrophize everything. I still cringe when I think of my former self. But, bless her heart, former me didn’t have any self-awareness and therefor could not self-regulate. I was wonderful at the silent catastrophe; completely freaking out over something but doing it all internally with a smile on my face! Muttering the dreaded words “I’m fine” when I was absolutely NOT fine. Then I stuffed away those feelings only to have them surface in a giant flood later in life after I had found my fair weather friend alcohol. Life has afforded me the opportunity to do massive inner work over the past few years with some amazing mentors. I am grateful on the daily for the insight I have gained and the lessons that I continue to learn on this journey. The only advice that I will offer today is not to give up. No matter what shitstorm may surface for you, going back to numbing emotions just puts them off to deal with at a later time (and you will likely be ill prepared and worse off than you are now). Crawl if you must, but keep going. Sobriety is a journey. A healing journey. The world needs you and everything you bring to it.